vOIL is a ready to use light paraffin oil for ART-procedures to overlay small volumes of tissue culture medium. vOIL prevents the evaporation of water and protects the media from changes in osmolality and pH. 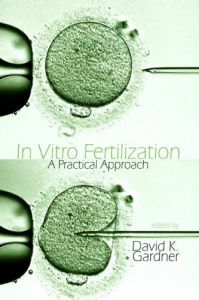 Furthermore, it enhances rates of embryonic development during embryo culture. The UK's Human Fertilisation and Embryology Act 1990 requires that human gametes (eggs and sperm) and embryos collected and stored by fertility clinics be destroyed after ten years, except in cases of premature infertility. This time limit applies to women often referred to as 'social' egg freezers irrespective of the age of the woman when the ten-year limit is reached; it applies equally to women who froze eggs when aged 25 and those who froze eggs at 45. Slower sperm are beaten by stronger and faster sperm when competing to fertilise an egg due to restrictive bottlenecks in the female reproductive tract. Selecting sperm with greater stamina results in offspring that are healthier and live longer, according to a recent study in zebrafish. The World Health Organization (WHO) is convening an 18-member committee of scientific experts from around the globe next month with the goal of developing international standards for the oversight of human genome editing.